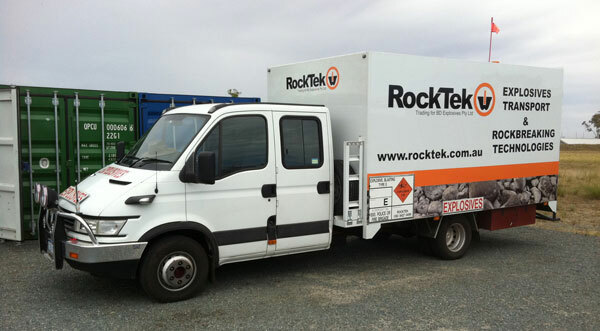 RockTek operate Australian Explosives Code Cat 3 compliant trucks. RockTek can accommodate large or small Dangerous Goods / Explosive hotshot or urgent deliveries to any Mine site or Civil Project. 24/7. RockTek have an unblemished safety record in transport deliveries since operations began in 1998. We understand explosives transportation is safety critical.